Finding foundation that last on my skin is an almost impossible task. I've bought many foundations over the years, wasting hundreds of pounds and still didn't get anywhere. I think finding the right foundation for you is like waiting for the bus; nothing comes for an hour then five comes at the same time? This was certainly my experience. Last year, I came across the Bobbi Brown Long-Wear Even Finish Foundation. 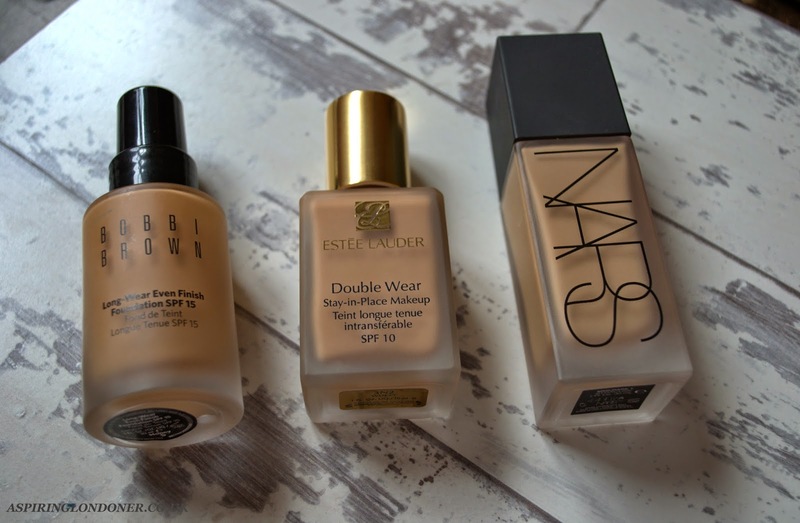 Then a few months later, I discovered Estee Lauder Double Wear Stay-In Place Foundation. In 2015, NARS launched their newest foundation, NARS All Day Luminous Weightless Foundation. 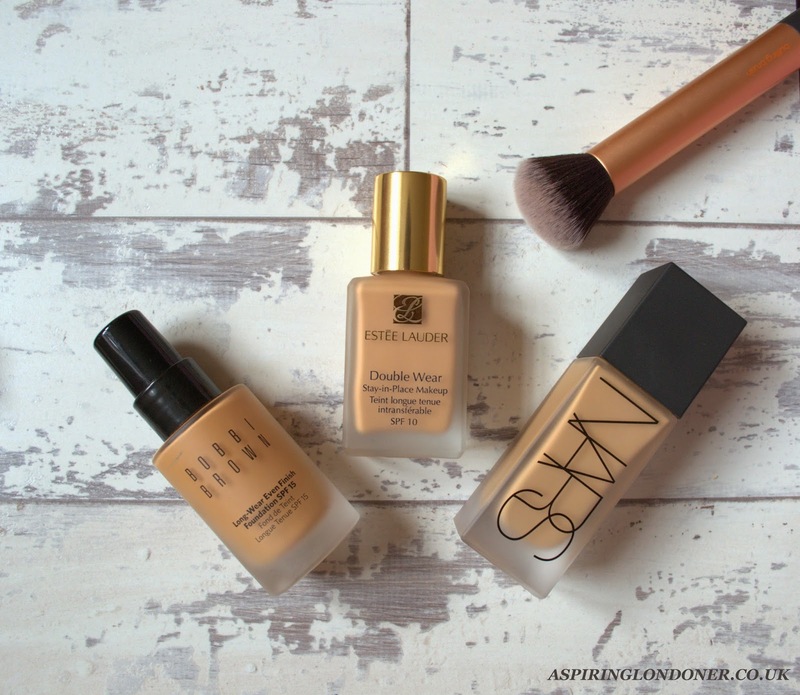 These three foundations are my absolute favourites for long wearing flawless makeup! I wear the shade 5 Honey, which is a good match for me in Summer, but tad warm in the winter/spring months. The foundation is packaged in a glass bottle with a pump, so it's functional and safe to travel with. One pump is usually enough for my whole face. The consistency is nice and creamy so blends really well and evenly. I use a buffing brush and it works really well. For me the coverage is medium to high. The one pump gives me medium coverage which is fine for my non-problematic skin. But if I have quite bad skin, I take another half pump and just buff in where needed. It has a somewhat satin finish but doesn't look greasy or shiny. It lasts through the day and sometimes needs light powdering if you're going out in the evening after work. I'd say longevity is 9+ hours with a little powdering (sometimes) if you have quite oily skin. It's such a great foundation as it looks quite natural on the skin and doesn't feel like a high coverage foundation. I wear the shade 3N2 Wheat, which is a good match for my skin. Funnily enough, despite having warm olive undertones, the neutral (N) shade looked much better compared to the warm (W) shades. This is why it's important to get shade matched and wear it out and about to really see if it's a good match to your skin. Anyway, packaging is a nice frosted glass bottle, but no pump! I don't know why brands do this, not at all helpful! The consistency is similar to Bobbi Brown, perhaps a tad more fluid. Again, applied with buffing brush and works really well. The EL Double Wear sets a little faster than Bobbi Brown so you have work a little quicker. It gives full coverage and quite a flawless canvas for you to work with. It lasts a long time as the name suggests, I don't have to powder through the day as it doesn't let any oil come through. It gets ever so slightly dewy, but nothing that you'd call dewy. A fantastic product if you're going to an event or the summery hot days! I've reviewed this beautful NARS foundation already, but how can I not mention it in the best foundations for oily/combination skin post?! Probably my favourite out of the three! The packaging is a chunky frosted glass bottle, probably not best for travelling. It comes with a pump (make this happen for sheer glow please!). The consistency is very runny and watery, you have to shake it well before application. I take one pump, dot it all over my face and buff away as fast as I can with my buffing brush. It sets quickly, so you have to work a little fast. Once buffed in, it feels like nothing on your face but gives brilliant high coverage. I wear the shade Syracuse which is a little warmer than my skintone, but the one below is too light. Without any primer, any powder, it lasts 8 hours easily before I see any kind of shine. I've worn it with primer, and it has lasted 10+ hours, so if that doesn't sell it to you, I don't know what will! Aboslutely love the glowy finish it gives, the coverage it gives without looking cakey - well worth the monies! What is your favourite foundation for your skin type? 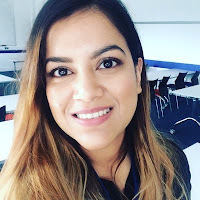 Have you tried any of my favourites? 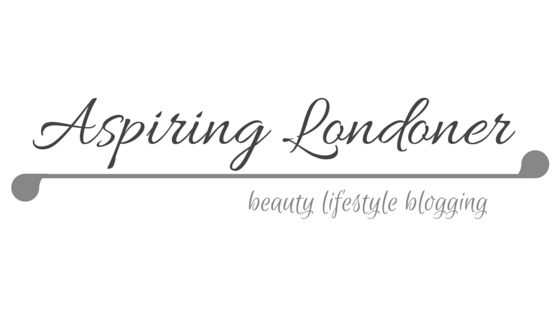 Share in the comments below or tweet me @aspiring_london!